I hope you all had a lovely Easter, I had planned to have this post published over the Easter weekend, unfortunately I didn’t quite have the time in the end. 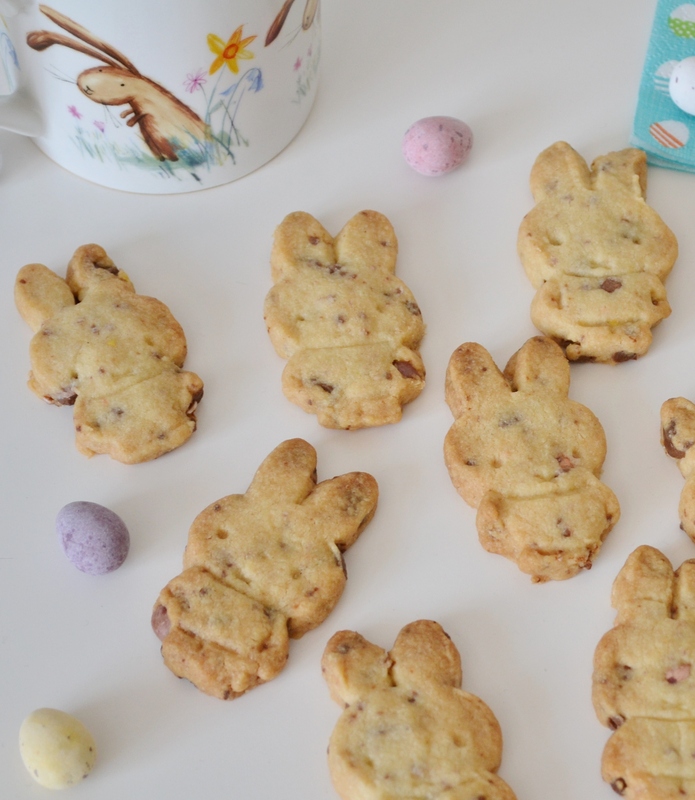 I thought it would be a shame not to share these lovely little biscuits with you anyway! My last baking thread featured mini eggs and so does this one, in my eyes you can never have too many mini eggs at this time of year! 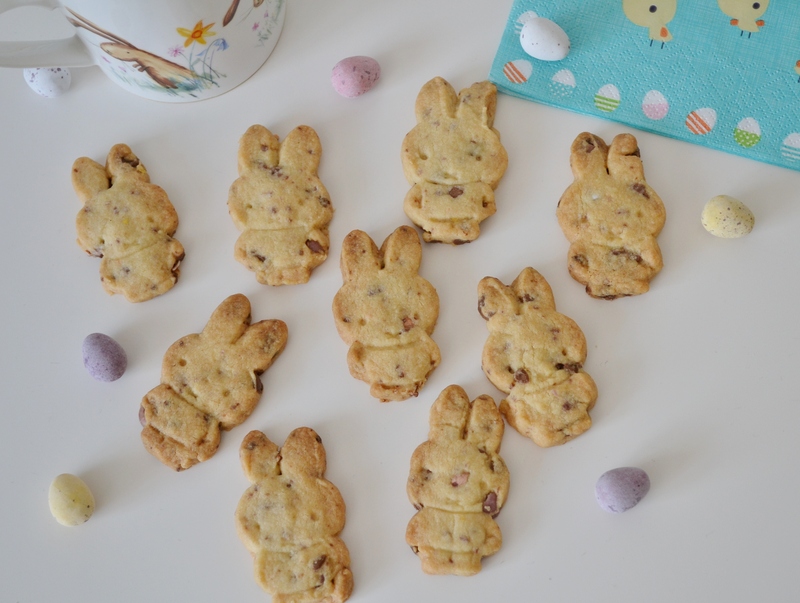 If you don’t have any left from Easter that’s ok you could always use chocolate chips instead. I love shortbread, it’s buttery crispness is the perfect accompaniment to go with a cup of tea. I think you picked up that I love mini eggs, so I thought what would be better than combining the two together! For these biscuits I used a super cute Miffy cookie cutter that I got from Ebay years ago, but you could shape them anyway you like. The trick to good shortbread is to put it in the fridge to set before putting them in the oven, if you’re short on time that could be for as little as twenty minutes. Who doesn’t love a cup of tea and a biscuit? Especially if it includes a bit of sewing too! If you do try this recipe, please share with me and if you’re on Instagram use the hashtag #whatsaysiemakes and tag me @what_saysie_makes. I’d love to see how you get on!